AngularJS - $sessionStorage by Scriptwerx is a service for use in your AngularJS applications. Provides a key-value (string-object) storage, that is backed by sessionStorage with support for expiry (in minutes). Storing items in sessionStorage is useful for persisting data within the current browser session. Data stored in this manner will not be deleted if the page is refreshed but will be deleted when the browser (or browser tab) is closed. angular-swx-session-storage depends on angular.js, and is tested on version 1.3.14.
angular-swx-session-storage will function correctly within all browsers that support Web Storage. N.B. For browsers with Web Storage disabled or in private browsing mode; a simple session Object fallback is used - please be aware of the limitations in this scenario. You can of course; download the service from the git repository. Simply add the angular-swx-session-storage asset to your project and include it in your HTML or as part of your build process. angular-swx-session-storage.js should appear after angular.js is included. Prefer minified assets (.min) for production. 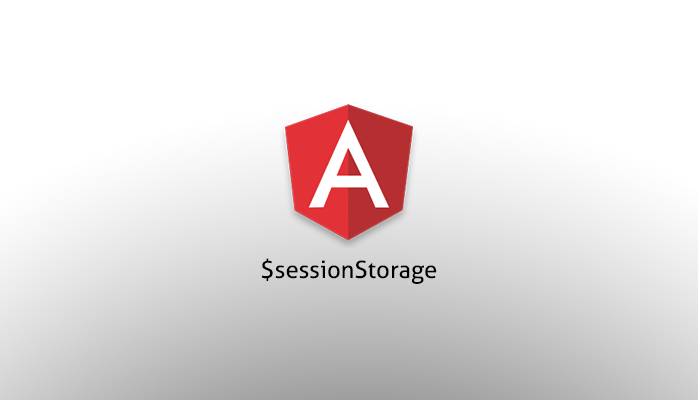 AngularJS $sessionStorage has been designed for simplicity; as such there’s only one configurable option; which is to set a custom prefix instead of the standard - this is rarely needed. The key; specified as ’myKey’ is used to allow retrieval of the value, in this case ’myValue’. The value can be set as any type (Number, String, Object, Array) and will be deserialized when stored. N.B. You cannot store a Method. If you need to store a value for less, or more time - you can always calculate more/less days. If the value is not available within sessionStorage; undefined will be returned. If the value has been stored with an expiry; this will be checked to ensure the value is still current - if so; the value will be returned, if not; the value will be deleted from sessionStorage and undefined will be returned. Once removed; any request to retrieve the value will return undefined. You are able to clear all data stored within sessionStorage if required. This will only clear items only stored by your application (unless you configure more than one application to use the same prefix). Items are stored using a dynamically generated prefix based on the hosted domain. For an application on domain: ‘www.mydomain.com’, items will be stored with a prefix of ’mydomain_’; so an item stored with key ’myKey’ is stored within sessionStorage as ’mydomain_myKey’. Your chosen prefix will be appended with ’_’. Setting the prefix as noted above will result in an item with ’myKey’ to be stored as ’myPrefix_myKey’. N.B. The prefix method is NOT designed to be used multiple times within your application and such use could lead to unexpected results or issues.